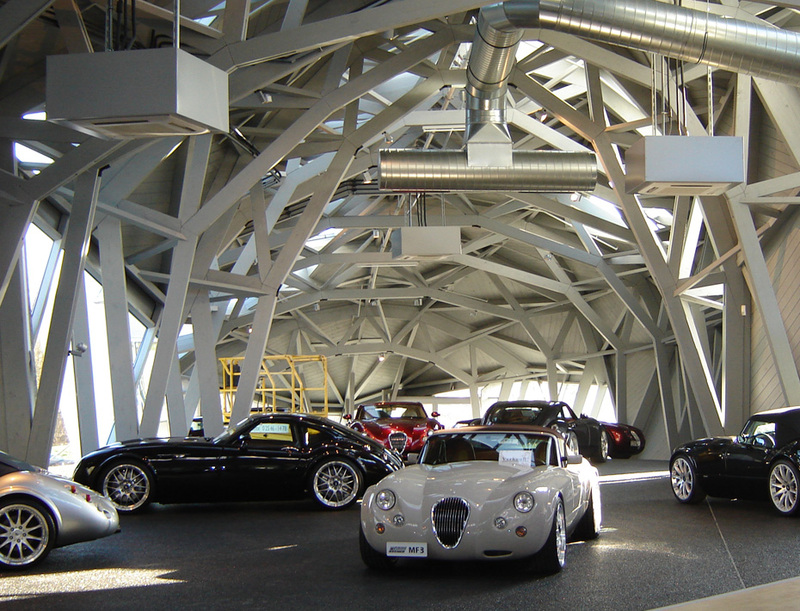 Wiesmann Sports Cars is a German car manufacturer, who built over 1500 cars in Dülmen/Westfalen so far. 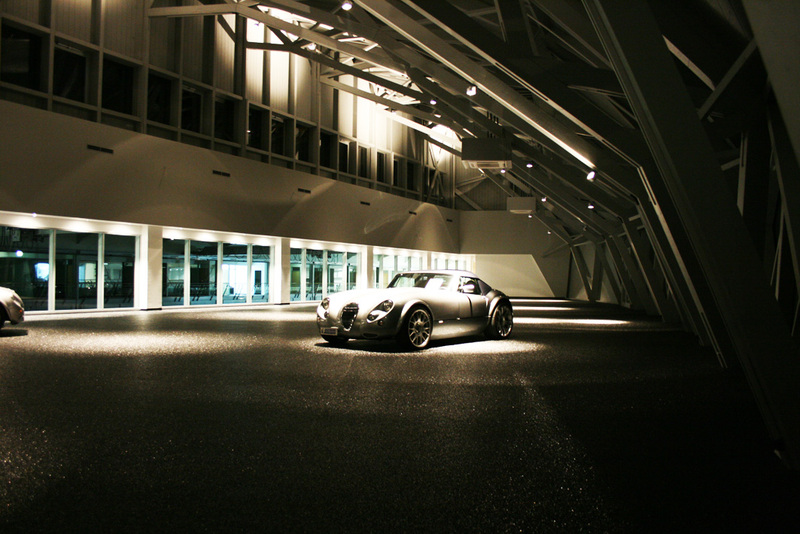 The logo of Wiesmann is a gecko, because the cars “stick to the road like geckos to a wall”. Due to the strong growth in recent years with a production of about 150-200 vehicles per year, the company has built a new factory, made with lots of glass. 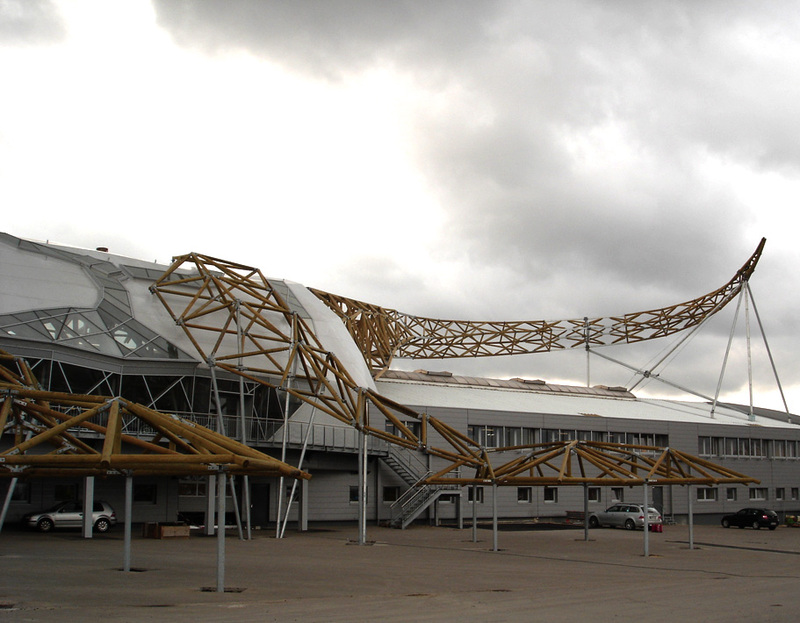 The hallmark of the new building is a giant gecko (based on the vehicle logo) with a length of 155m, which was erected upon the roof and can be seen from the A 43 motorway. 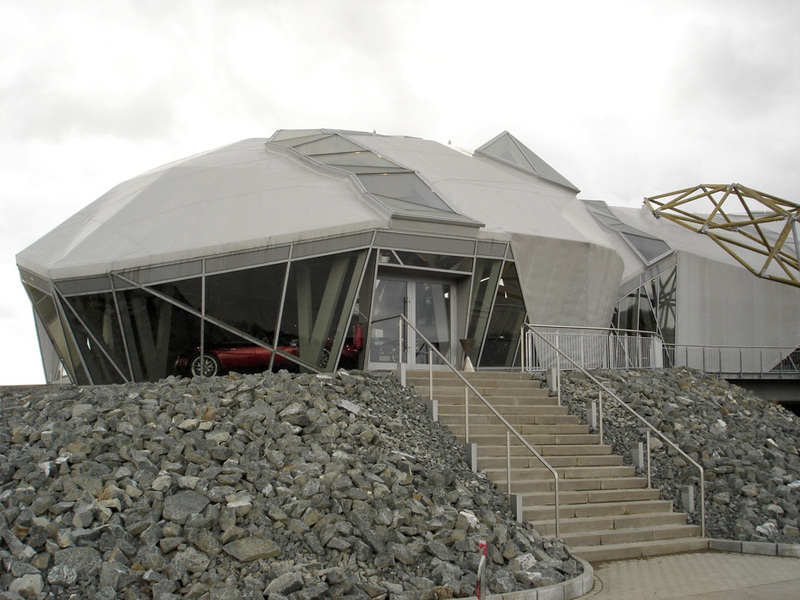 Originally the gecko was designed as a steel construction with a membrane cover, a company was already commissioned, which was specialized in projects with membrane covers. This company, however, led other major projects at the same time and finally canceled the job. That’s when Cordes entered the equation. The setting was a decision of feasibility as well as a package deal within a week. 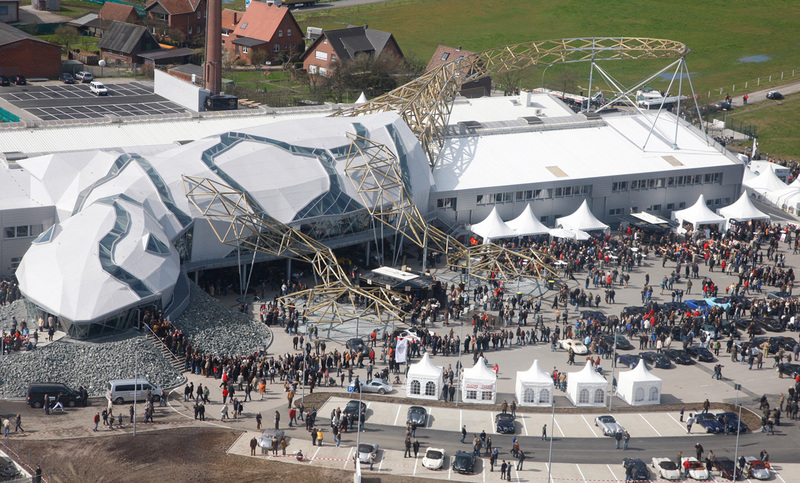 In collaboration with Création Holz from Switzerland / Hermann Blumer a static concept was developed, the offer was defined and, finally, the conditions were created that the project could be realized. The building owners wanted to show as much of the structure as possible, which could be implemented very well with the wooden structure. Included in our order were the wooden construction, the roofing and glazing, which means the outer shell above the foundation. 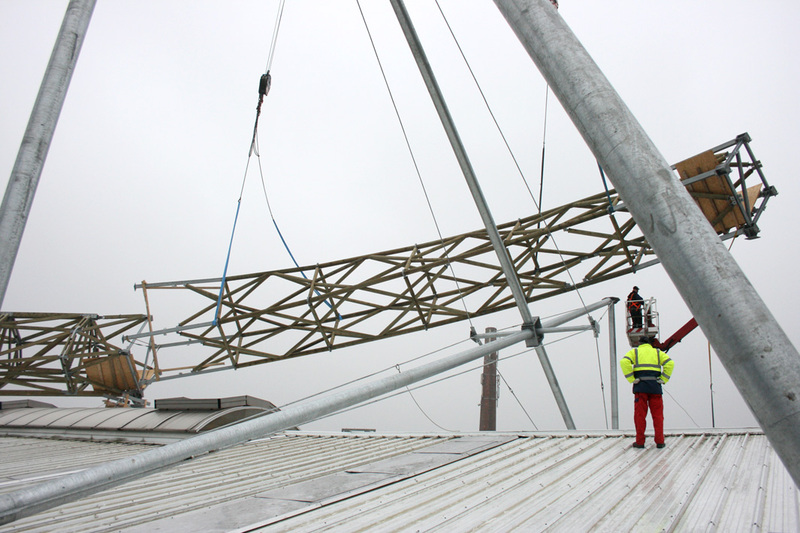 Except wood to wood connections there should be performed steel to wood connections, which were not covered by the approval. In some cases the distances between the connectors were smaller than the minimum distances specified in the approval. Part of the connections are exposed to the weather therefore attributable to utilisation class 3. The effort of engineering services was immense – it was more than 3,500 hours of engineering, that were needed for static calculation and work preparation. For example, just the steel fabrication drawings of the necessary parts for the tail and the feet include more than 1,150 pages. If you have questions about the project, you may talk to our technical editor Heiko Wulff , who did an excellent – and very exhausting and time consuming – job.